This richly detailed Tuscany home is all on one level with no stairs. Luxurious details are impressive inside and out: An irrigation system to keep your lawn & gardens green, impressively detailed brick and CUT STONE, covered porches front and rear, flower baskets under the front windows, circle top & transom windows and a beautiful wood entry door. Inside you'll find engineered wood floors, tall ceilings at varied heights, beautiful millwork, granite countertops, Kichen with travertine backsplash and convenient pantry, Laundry Room with cabinetry, a powder room for guests, a Jack & Jill bath between bedrooms 2 and 3, and a Master Suite with Coffered Ceiling, a Mosaic-tiled Luxury Shower plus a Whirlpool-style Tub, and a Walk-in Closet with Built-in Shelving. Many of these upgrades were purchased outside of the published construction price. 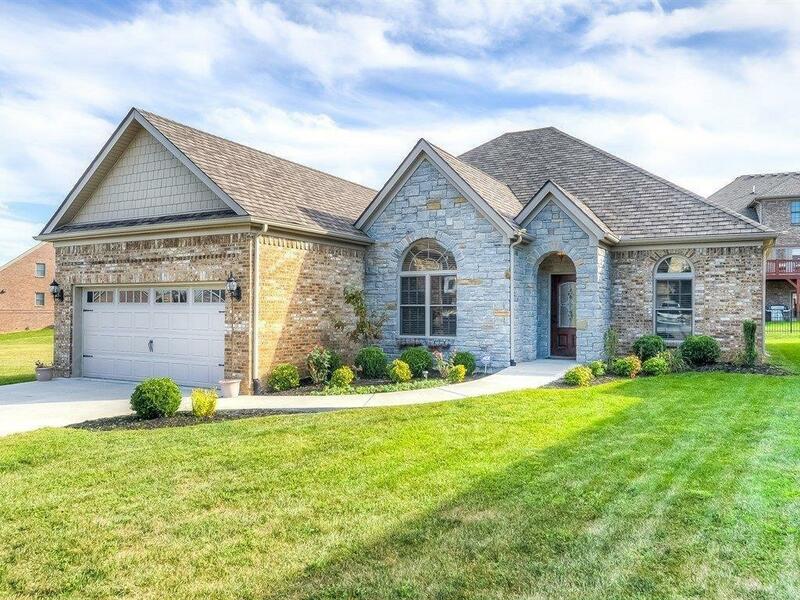 You'll love the convenience of living right in Hamburg, with so many places to eat, work & play - and with fast access to New Circle and I-75/I-64.